The UK's most popular Pro 360 scooter just got EVEN BETTER! Team Dogz scooters boast the strongest welded frame & toughest deck available on the market today. They are the ultimate 360 stunt and skate park scooters! 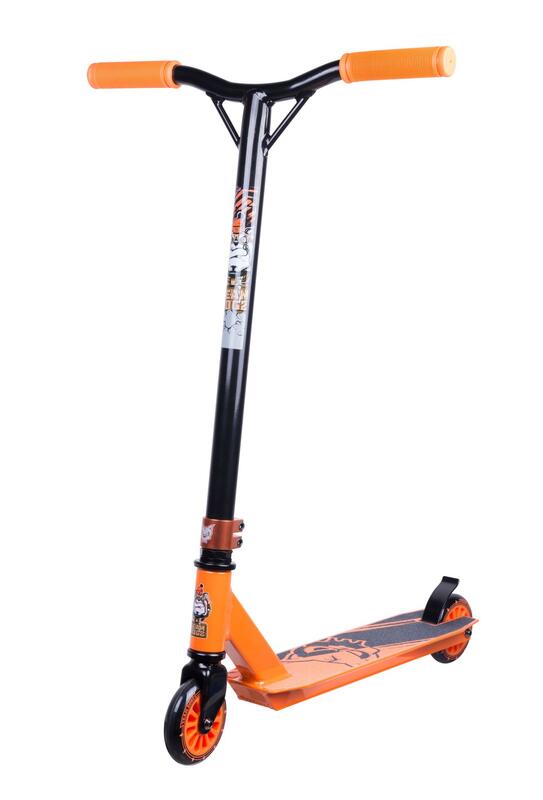 This "Pro3 EvX-Gen Evolution" scooter is perfect for aero tricks and backflips. Special Offer - Stunt Pegs - Stocking Filler!